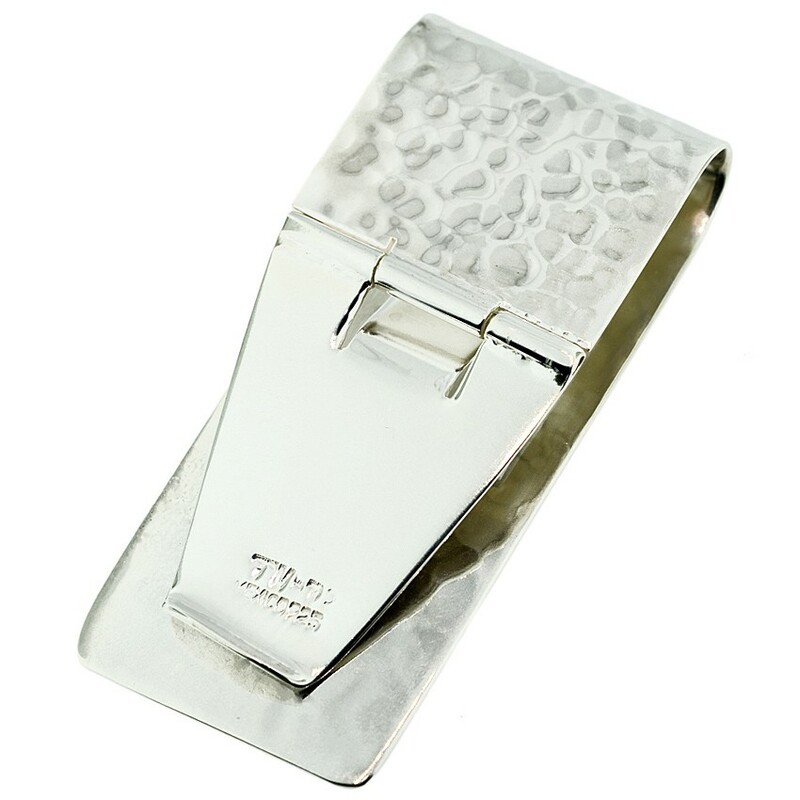 Silver Denaro Coin in 14k Gold Bezel on Sterling Silver Money Clip. 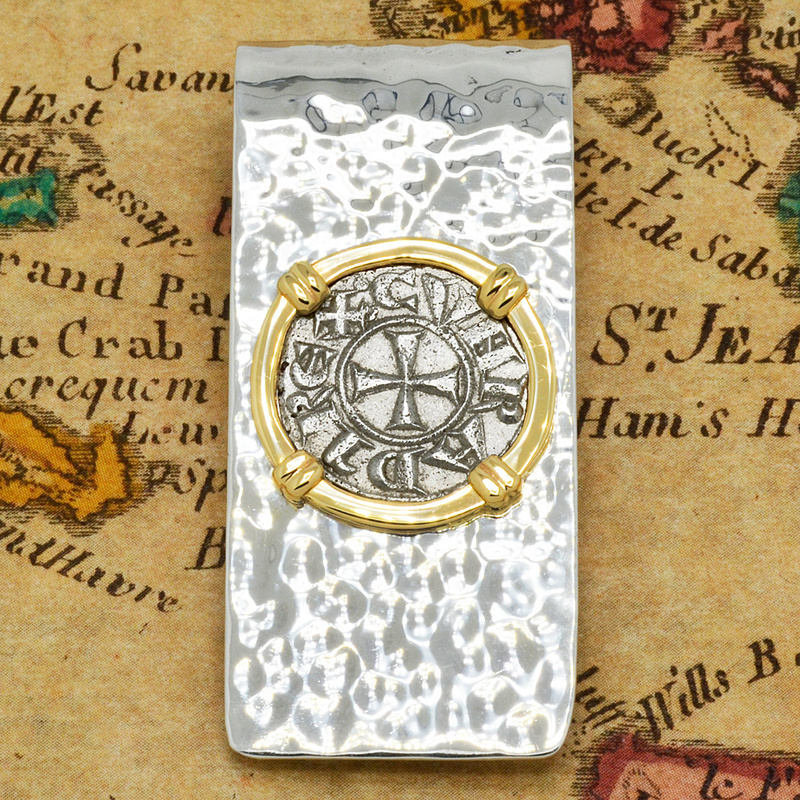 This coin was minted in the Medieval city state of Genoa, located on the northwestern Italian coast. In the 12th century, Genoa was a great center of commerce and a dominant maritime power in the Mediterranean, rivaled only by Venice in importance. As the Western World was recovering from the Dark Ages, Crusaders from Europe massed their armies in an effort to recapture the Holy Land from Muslim rule. The Crusades were fought over a period of nearly 200 years, between 1095 and 1291. Genoa was an important participant in the Crusades, beginning with providing troops and naval support during the successful sieges of Antioch in 1098 and Jerusalem in 1099. These Genoa silver denaro coins were first minted to pay the armies of Christian Crusaders and they ultimately became currency for the people. 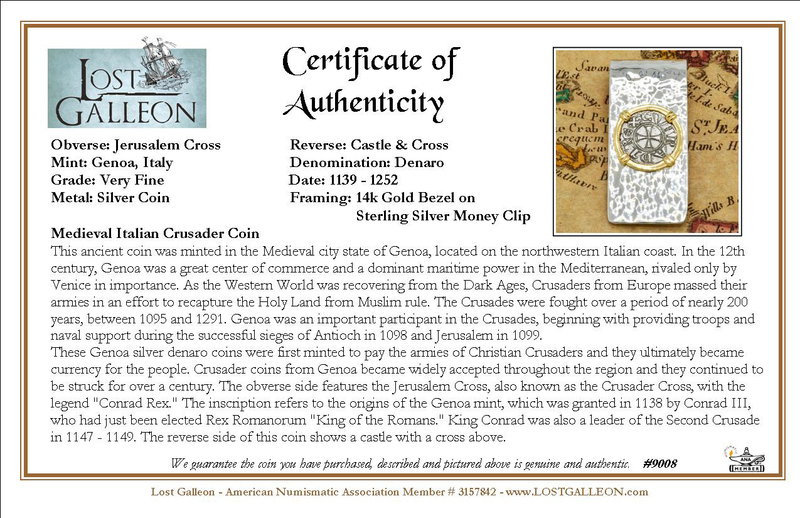 Crusader coins from Genoa became widely accepted throughout the region and they continued to be struck for over a century. 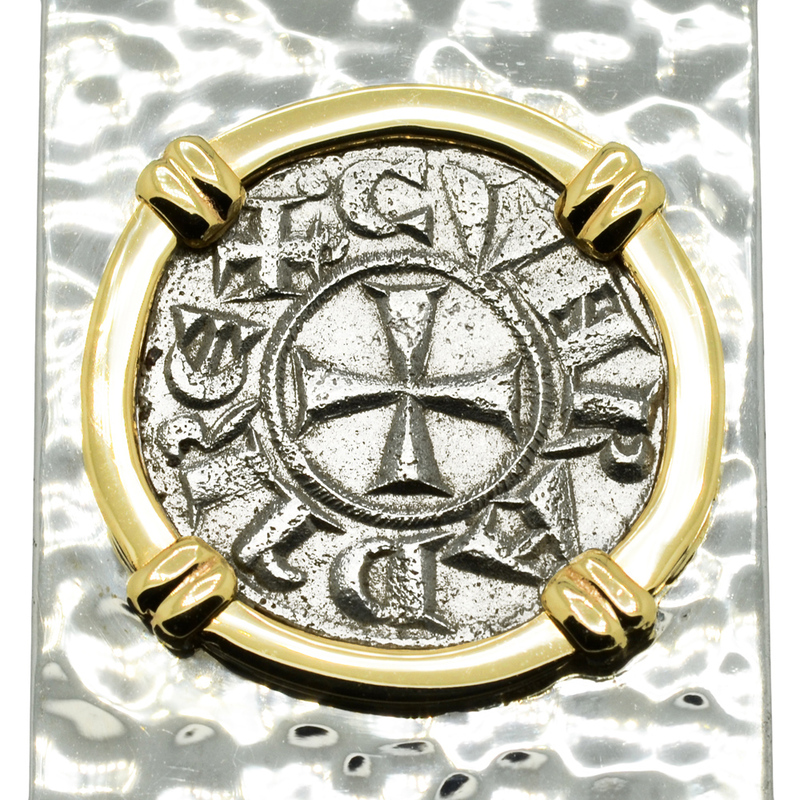 The obverse side features the Jerusalem Cross, also known as the Crusader Cross, with the legend "Conrad Rex". 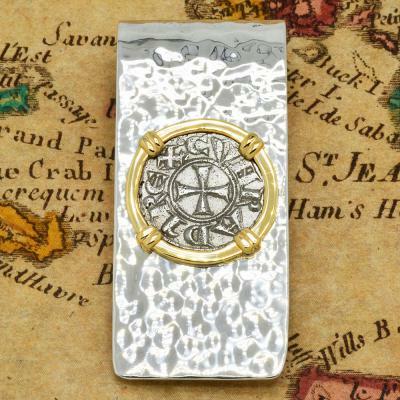 The inscription refers to the origins of the Genoa mint, which was granted in 1138 by Conrad III, who had just been elected Rex Romanorum "King of the Romans". King Conrad was also a leader of the Second Crusade in 1147 - 1149. The reverse side of this coin shows a castle with a cross above.